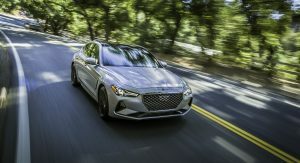 Genesis is gearing up to launch the all-new G70 this summer and the company has finally released detailed specifications about the US-spec model. 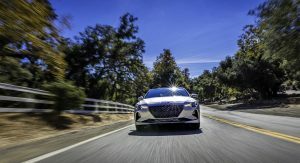 Starting with the 2019 G70 Advanced 2.0T, the luxury sedan has a stylish and sporty exterior which features LED daytime running lights, LED taillights and 18-inch alloy wheels. 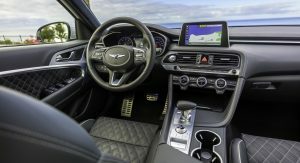 Moving into the cabin, drivers will find a leather-wrapped tilt / telescopic steering wheel, a dual-zone automatic climate control system and a 12-way power driver’s seat. 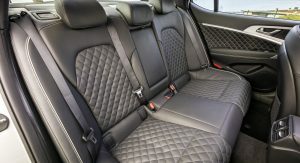 The model also comes equipped with a proximity key, a push-button ignition and an 8-way power passenger’s seat. 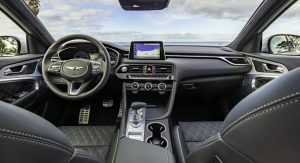 Other highlights include an auto-dimming rearview mirror, HomeLink connectivity, a 7-inch LCD display in the instrument cluster and an 8-inch infotainment system with Android Auto and Apple CarPlay. 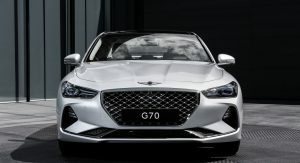 On the safety front, the G70 has an assortment of driver assistance systems including forward collision avoidance with pedestrian detection, blind-spot collision warning with rear cross-traffic alert and smart cruise control with a stop and go function. 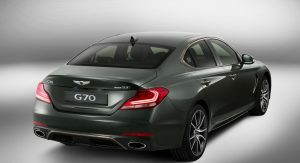 The model also has high beam assist, a tire pressure monitoring system and a rearview camera with parking guidelines. 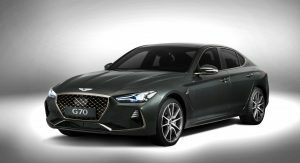 Moving up to the G70 Elite 2.0T rewards buyers with LED headlights, rain-sensing wipers and front / rear parking sensors. 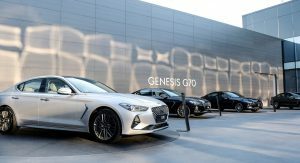 The model also comes equipped with a sunroof, power-folding auto-dimming exterior mirrors and approach lights that display the Genesis logo. 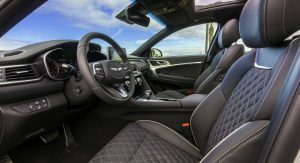 The interior is more luxurious as it features leather upholstery, heated and ventilated front seats, aluminum trim and a 15-speaker Lexicon audio system. 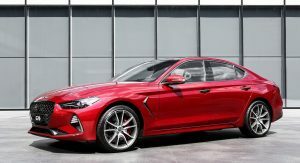 Buyers will also find a power tilt / telescopic steering wheel, an integrated memory system for the seats and GPS navigation with free lifetime updates. 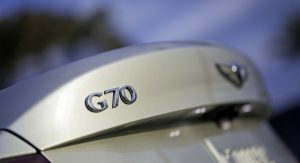 The G70 Prestige 2.0T packs on the high-end amenities as it has Nappa leather seats, a microfiber headliner and heated rear seats. 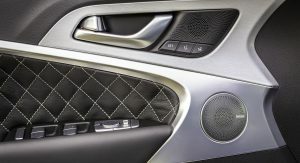 Other highlights include a head-up display, a wireless smartphone charger and a surround-view monitor. 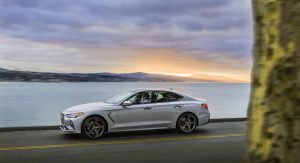 Buyers looking for something more performance-oriented have two options. 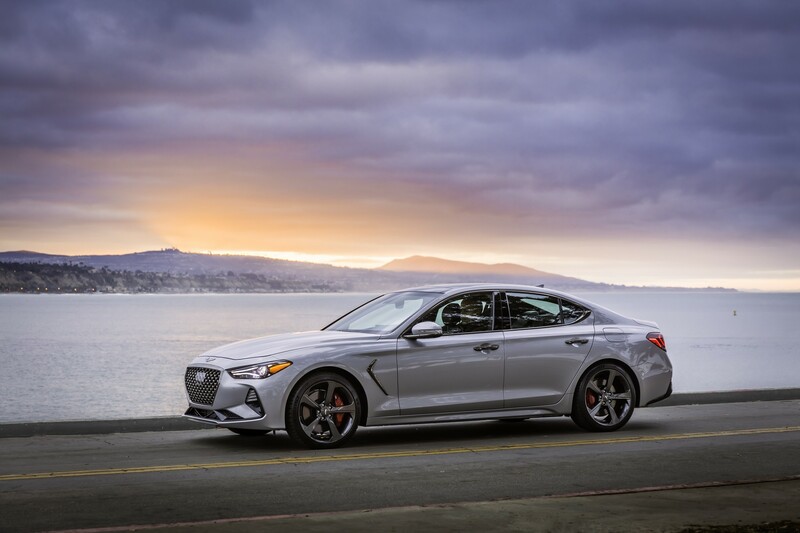 The first is the G70 Dynamic 2.0T which adds a limited-slip differential and 19-inch alloy wheels with summer tires. 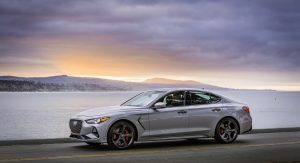 While the G70 Sport 2.0T comes standard with an automatic transmission, opting for the six-speed manual adds additional performance equipment. 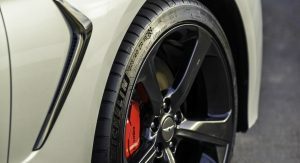 Highlights include a sports exhaust system and a Brembo braking system. 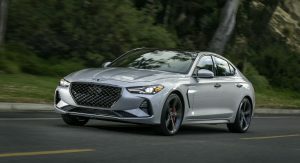 The G70 Advanced 3.3T is largely identical to the G70 Elite 2.0T but it features additional equipment including a sport-tuned suspension, Brembo brakes, a limited-slip differential and a dual exhaust. 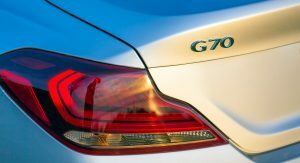 One step up is the G70 Elite 3.3T which adds rain-sensing wipers, parking sensors and a sunroof. 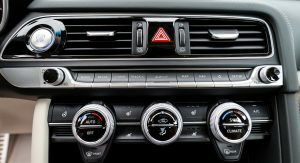 The model also has a wireless smartphone charger and low beam assist. 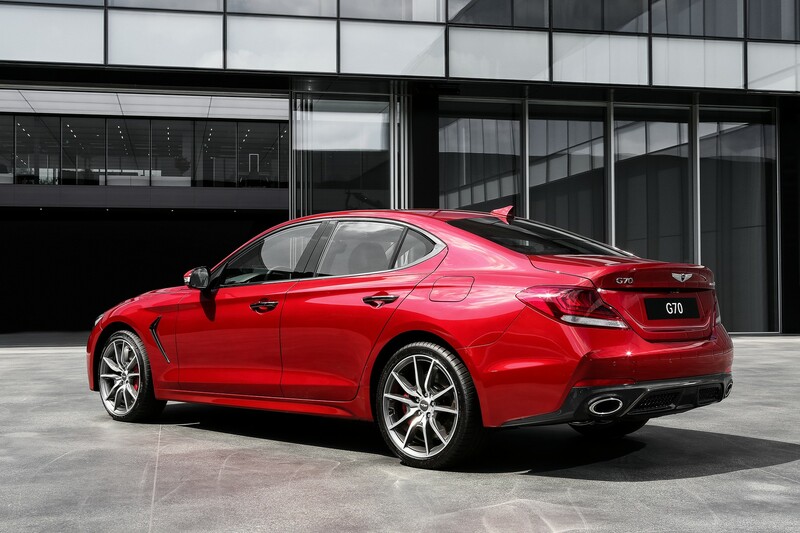 The G70 Prestige 3.3T has Nappa leather seats, a microfiber headliner and heated rear seats. 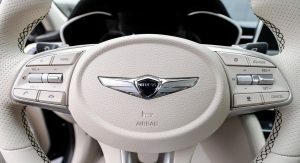 There’s also a surround-view monitor and a head-up display. 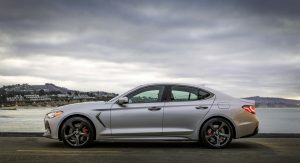 Lastly, there’s the G70 Sport 3.3T which has the same styling features as the 2.0T model as well as an electronically controlled suspension. 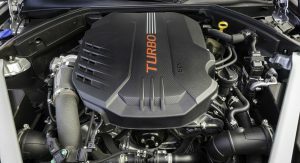 2.0T models are powered by a turbocharged 2.0-liter four-cylinder engine that produces 252 hp (188 kW / 255 PS) and 260 lb-ft (352 Nm) of torque. 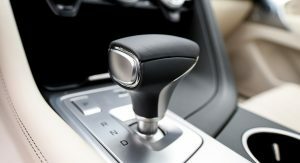 It can be connected to either a six-speed manual or an eight-speed automatic transmission. 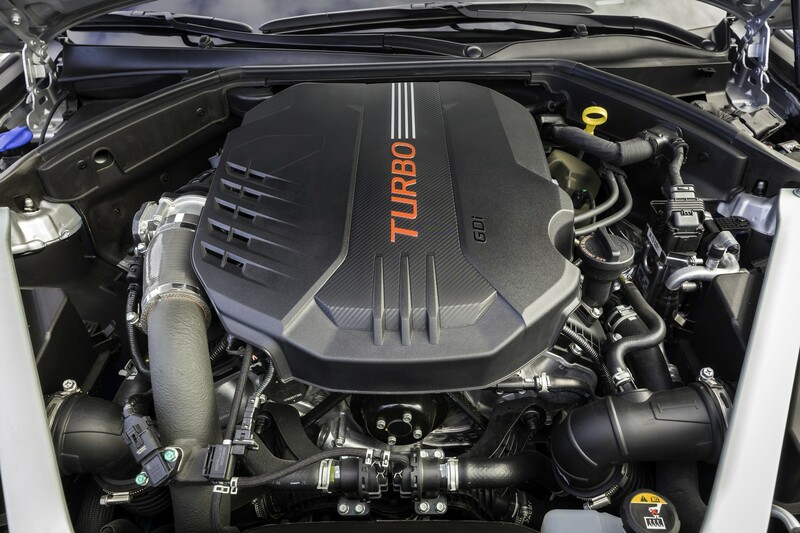 Customers can also opt for a twin-turbo 3.3-liter V6 which develops 365 hp (272 kW / 370 PS) and 376 lb-ft (509 Nm) of torque. 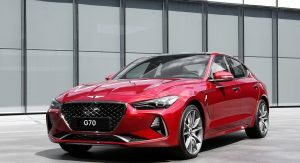 Another option is the all-wheel drive system which is available on all models except the G70 2.0T Sport with the six-speed manual. 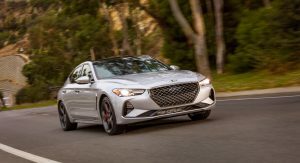 Genesis hasn’t released pricing, but the G70 is expected to start around $32,000. 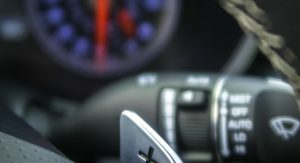 I love the way it looks. 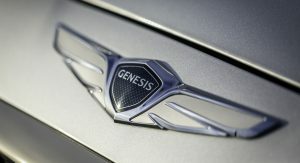 I understand why people who don’t know would buy it, but WHY would anyone get this car now? Why not wait for the redesign/facelift. 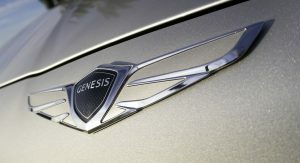 Genesis is planning a complete redesign of it’s vehicle line up over the course of the next year or so, that will feature the “stacked” headlight and tail-light design from the GV80 Concept, and the Essentia Concept. From what I know. 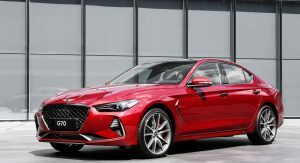 These facelifts and (complete) redesigns will be coming to all their vehicles across their line-up. 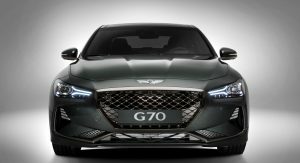 The facelifts vechiles will receive much more that a simple facelift, as it will basically effect the sides, rear, “face”, and the interior (making their interiors a touch more “up-scale”, (think along the lines of the interior of the GV80 Concept). 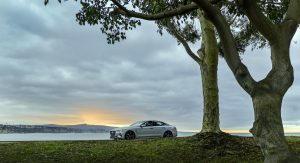 If it drives as good as it looks, this is going to sell well. 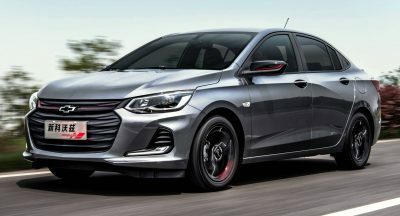 no, its smaller, more sporty, and better looking. They share basically same chassis. 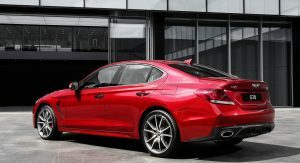 Like a C class and Infiniti had a baby. 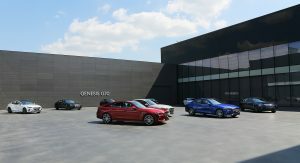 Looks really good. I like it. 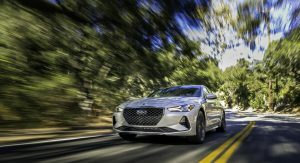 No information on pricing or when it will come to US dealerships? 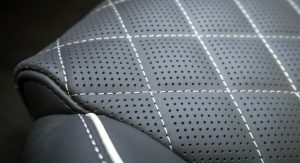 KIA did the same thing with the Stinger. It seemed like no body knew how much it was gonna cost until almost the day it went on sale in the US. 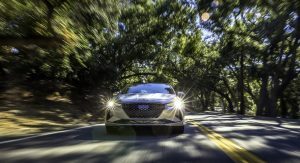 I’m always surprised to read stories about this car being launched. I thought it was ‘out’ months ago. A year ago even. 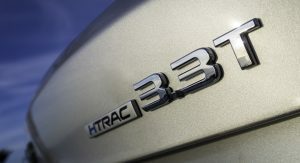 That said… I’m sure it’s very nice. Ernie, you went real dark. Just damn it Ernie,you blow us all up! 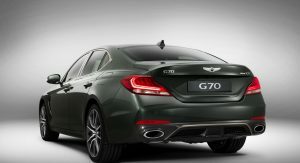 Stinger looks better, the G70 should be smaller and not so overweight. Handling should also be tighter. 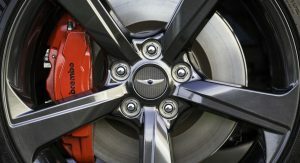 If I could get that in the Stinger, that would be perfect. 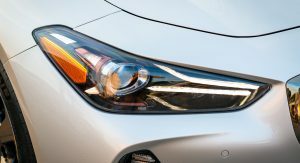 what they should do instead (since I think there is actually a really good reason for it), is make the orange reflector piece a light. 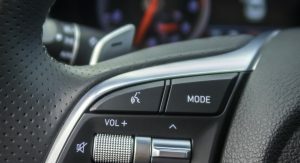 So when the vehicle is running/”on the move”, the orange light comes on, and when it stops the light turns off (when it’s off it would be orenage). 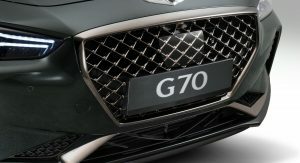 This way We can keep a good safety regulation, and have good looking cars (with the ugly reflector) at the same time. Idk, it just an idea… I think it would be pretty neat. This summer, huh? That would be now, it’s the middle of July. I spoke with two dealers in my area, one had no idea when it would arrive, the other said two to three months, which would be more like Fall. 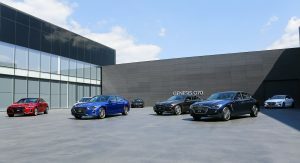 I will be surprised if it arrives in U.S. dealerships before mid-September. This summer, huh? Its now mid-September. 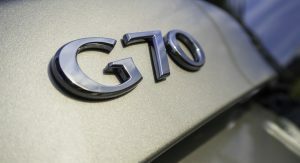 There are currently zero G70s available here in the U.S.